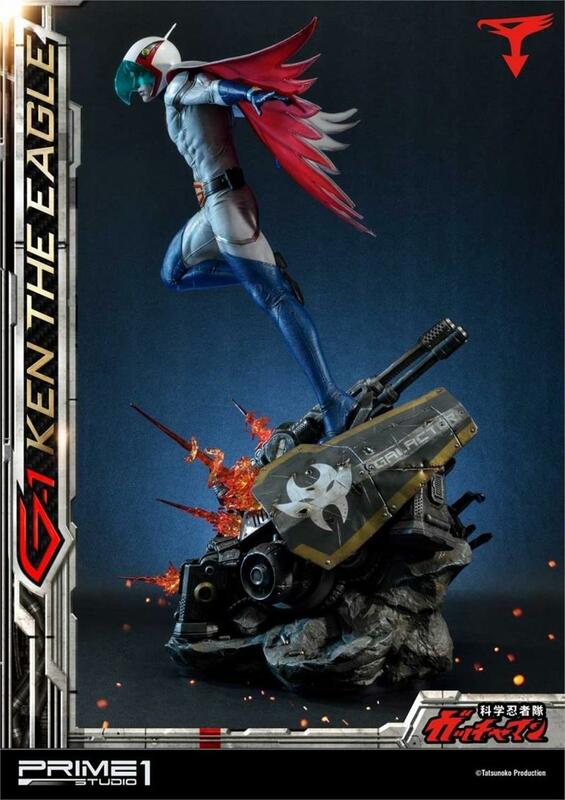 Prime 1 Studio is proud to present 1:4 scale PMGM-01: G-1 Ken the Eagle from Gatchaman. 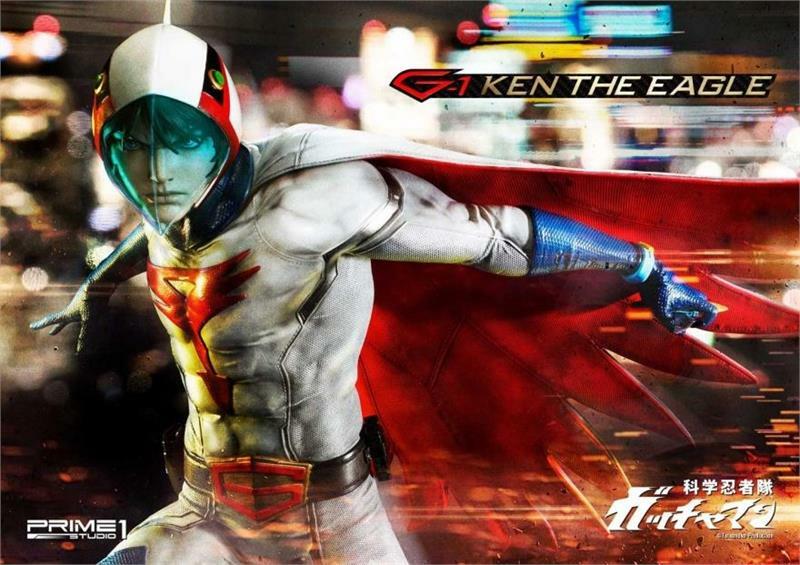 Ken the Eagle also known as Ken Washio is, a pilot of the jet fighter G-1, a leader of the Science Ninja Team and also the main character of the series from the Japanese anime. 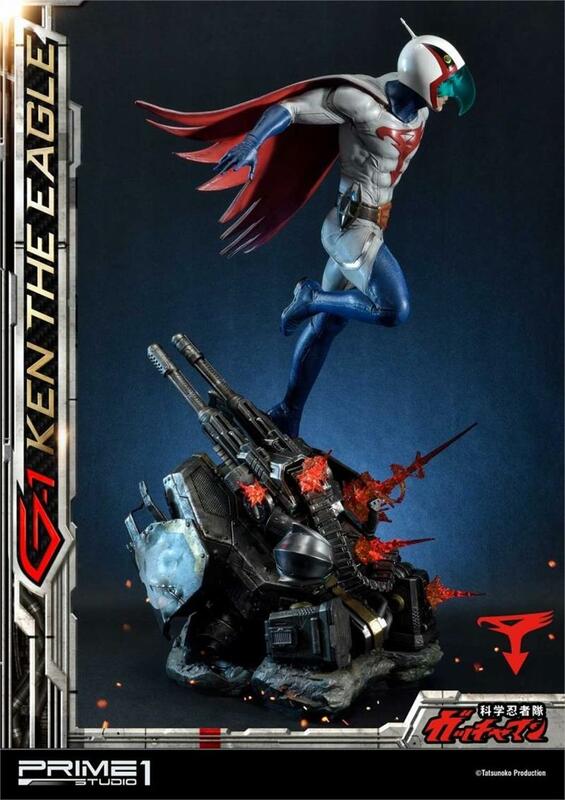 The meticulously crafted of each part of the statue such as the eagle-like Bird Style colored in white with a beautiful red interior, as well as a white helmet with red and black accents. G-1 Ken the Eagle statue comes with interchangeable hand with/without holding a Birdrang. 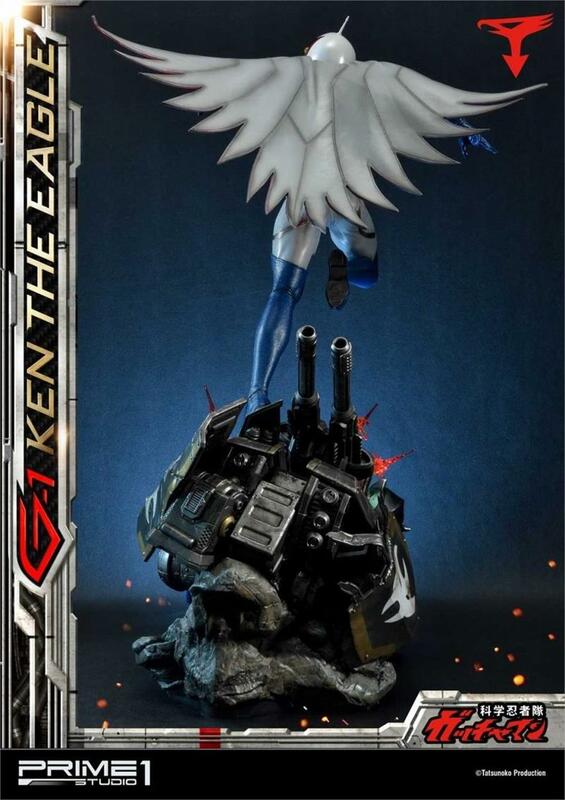 Moreover, with the LED light-up features on the base, Ken Washio measures approximately 29-inches tall under a defeated drone standing in his way. 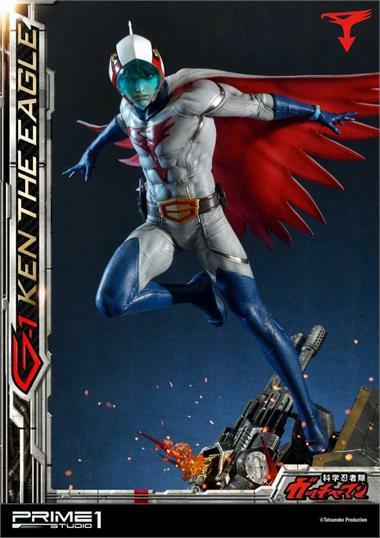 Don't miss your chance to add in your collection the pilot of G-1 and the team leader of this Science Ninja Team Gatchaman! 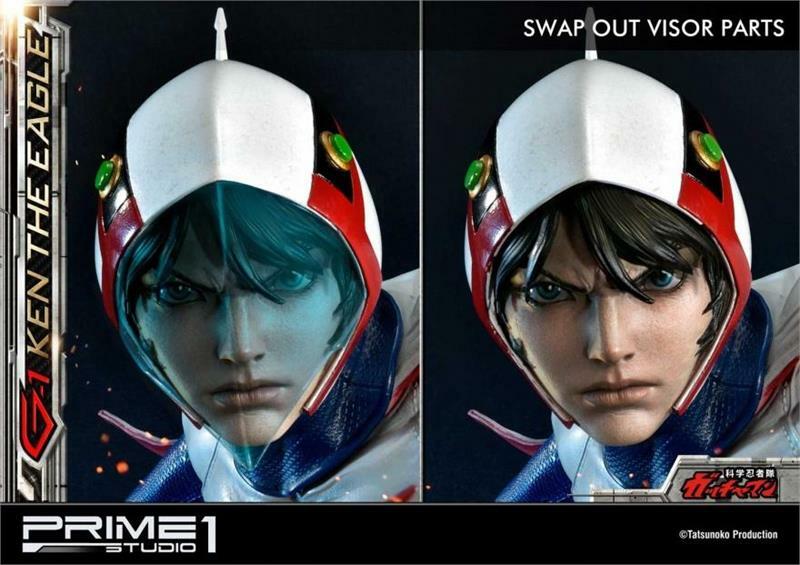 Preorders are welcome to ship in late May 2020.